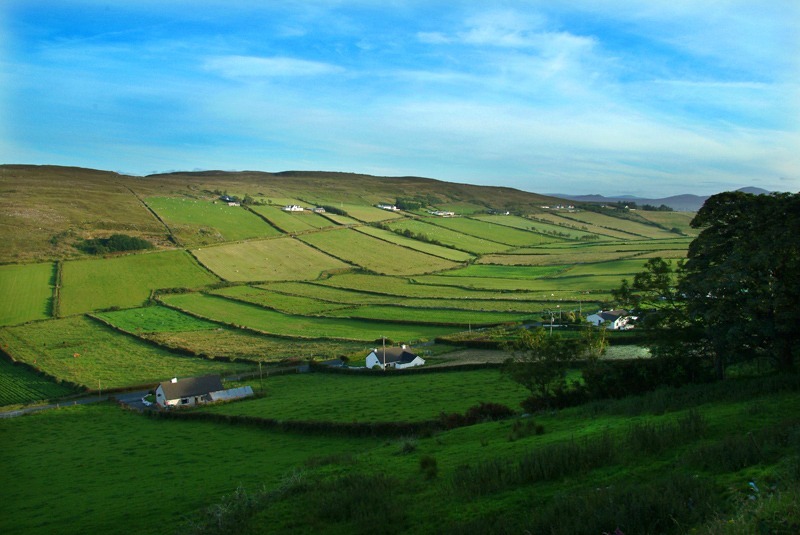 Patchwork fields near Malin, Inishowen. Unframed. Framing available if picture can be collected from Helene. Smaller size available, please enquire.